The Special Initiative for Rebuilding and Resiliency (SIRR) addressed how New York City can rebuild to be more resilient in the wake of Sandy but with a renewed focus on how to improve citywide infrastructure and building resilience in the medium and long-term; and how to rebuild locally in order to help Sandy-impacted communities become more resilient. What happened during and after Sandy and why? What is the likely risk to New York City as the climate changes and the threat of future storms and severe weather increases? What do we do with citywide infrastructure and buildings and in Sandy-impacted neighborhoods? 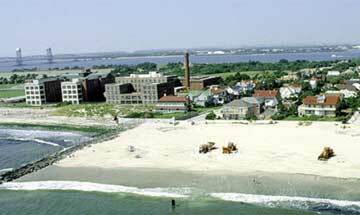 The Rebuilding after the 2012 coastal storm Sandy is planned as a transformation of the city towards major resilience with respect to all expected climate impacts. PlanNYC represents Mayor Bloomberg's pioneering effort to accommodate a growing population, enhance the quality of life for all New Yorkers, and address climate change. Among the goals, the plan includes reducing the city's GHG emissions by more than 30 percent by 2030 and 126 other initiatives that City agencies would undertake to reach these goals including the establishment of a new Mayor's Office of Long-Term Planning and Sustainability to lead the effort. As Part of PlaNYC, the Bloomberg Administration sought to understand New York's climate risks. For example, it established the NYC Panel on Climate Change (NPCC), a body of leading climate and social scientists charged with making climate projections for the city. NYC citizens and all the communities subjected to sea level rise. - SIRR’s Community Rebuilding and Resiliency Team looked at geographic areas most impacted by Sandy in order to develop plans to rebuild resiliently. A Climate Analysis Team and an Outreach Team aided both of these teams to integrate the best information on our risks and engage public stakeholders at every level. Protecting areas to sea level rise.